A wonderfully entertaining coming-of-age story, Northanger Abbey is often referred to as Jane Austen’s Gothic parody. Decrepit castles, locked rooms, mysterious chests, cryptic notes, and tyrannical fathers give the story an uncanny air, but one with a decidedly satirical twist. The story’s unlikely heroine is Catherine Morland, a remarkably innocent seventeen-year-old woman from a country parsonage. While spending a few weeks in Bath with a family friend, Catherine meets and falls in love with Henry Tilney, who invites her to visit his family estate, Northanger Abbey. Once there, Catherine, a great reader of Gothic thrillers, lets the shadowy atmosphere of the old mansion fill her mind with terrible suspicions. What is the mystery surrounding the death of Henrys mother? Is the family concealing a terrible secret within the elegant rooms of the Abbey? Can she trust Henry, or is he part of an evil conspiracy? Catherine finds dreadful portents in the most prosaic events, until Henry persuades her to see the peril in confusing life with art. 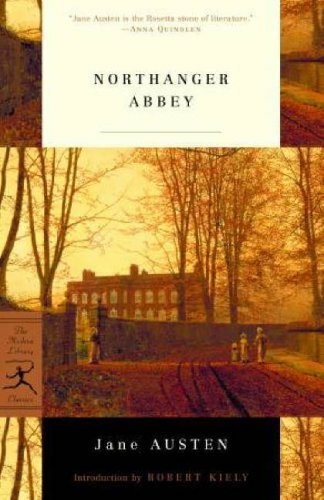 Executed with high-spirited gusto, Northanger Abbey is the most lighthearted of Jane Austens novels, yet at its core this delightful novel is a serious, unsentimental commentary on love and marriage (Source:Goodreads). I just re-read Northanger Abbey for the first time so that I could review it for Jane in June. I’m so glad I did! I loved it much more this time around then when I read it for the first time several years ago. It is much funnier and more entertaining then I remember it being. The ending is very rushed, but then, Austen never got a chance to go back and edit it since it was published after her death. I wonder what she would have changed or fixed if she’d gotten the chance? Henry Tilney is higher on my list of favorite Austen heroes then I previously thought. He would be the most fun to be around out of all of them, I think. He is very flirty and witty, but he is also a very loyal and kind man. He is very forgiving and understanding toward Catherine, even when she acts like a complete goose around him. Even though I think this is the least romantic plot of all her books, Austen got it right when she created Tilney, no doubt about it. Catherine Moreland’s coming of age is the star of the show here. I will re-read the other Austens when I’m in the mood for a classic romance story. This book I will re-read when I feel the need to laugh at (and be embarassed for) Catherine and her numerous adventures into idiocy and disaster. Bless her heart, she is so innocent and sweet – it really gets her into trouble. Our heroine-in-training is looking for an adventure throughout the story, and when she fails to find one that suits her fancy, she invents one in her head. Bad idea, Catherine. Bad. Idea. This book is a lot of fun, and I definitely think it is worth a read! I don’t know why so many people are down on it. It might not be your run-of-the-mill Austen, but it is still a classic and very much worth your time. 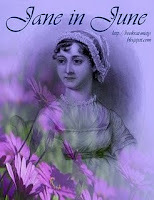 Like I mentioned, I reviewed Northanger Abbey by Jane Austen for Misty’s Jane in June feature. If you haven’t joined in the fun, make sure you go and check it out! Posted on her blog today are some of the reasons I think Captain Wentworth (from Persuasion) is the best of Austen’s leading men. Definitely go and tell me what you think about my list! I just finished S$S and currently reading Emma. This one will be my next.Thanks for the great review.And yes, I think JA has it right! I love Henry Tilney! He's so understanding and sweet about Catherine's quirky nature. Nice review. Great review! I've been curious about Northanger Abbey because not many people say much about it. FAB review. I really must read this soon. I loved Northanger Abbey and Henry Tilney too the first time I read it. I'll have a chance to revisit her books in Everything Austen II challenge.